Demanding transparency and battling encroachment on our digital liberties is more important than ever. The federal government appears to be spying on phone calls and internet activity of many millions of people, foreign and citizen alike. Now is the time to do something about it! We must vote. Vote with our voices. And vote with our resources. Support the EFF! 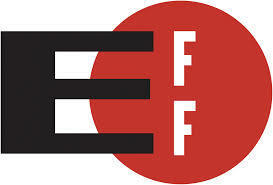 The Electronic Frontier Foundations is dedicated to the expansion and preservation of digital civil liberties. Their work and that of other like them a necessary when the impulse of the federal government is intrusion and secrecy. We've recently seen in Turkey, Tunisia, Libya, Egypt, and Syria what can happen when a government becomes oppressive and the people lash out. People die, sometimes in vain. If we are going to avoid violent change we have to enact peaceful change.